The iPhone X is finally here. It is Apple’s most interesting phone in a long time. It has a 5.8″ super retina display with a OLED screen, elegant glass on front and back, wireless charging, and dust resistance. Since it is all screen, you get more display real estate on a compact body. There is no Home Button, but you can use your face to unlock your phone. All these new smartphones have an A11 Bionic chip inside. The iPhone X has a much higher resolution display (458 ppi) and a camera with dual optical stabilization. Its front camera lets you scan your face to unlock your phone easily. You also get animated emoji on the new phone. 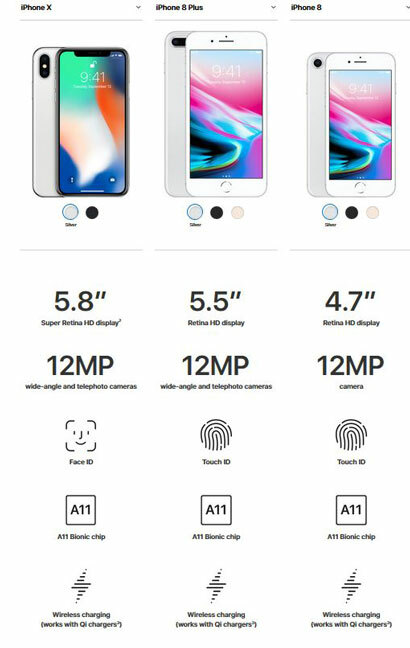 The iPhone X costs you as low as $999 while the iPhone 8 Plus is going for only $799. You can pre-order on October 27.